Whether hybrids, fully electric vehicles or power units with fuel cells, the future of mobility is far from clear and remains exciting. The one thing that is certain, however, is that changes will come for which the industry will have to find flexible solutions. In addition to these new, big ideas, many small changes are taking place that also have a major influence on the success of new products. Classic components, such as differential gearboxes, will continue to be manufactured regardless of the type of energy that powers the vehicle. 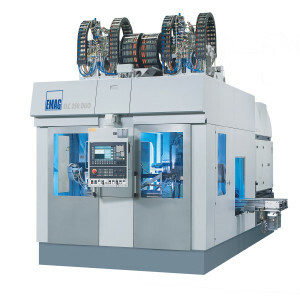 EMAG provides manufacturing solutions for the entire differential gearbox, with the particularly highlighted laser welding systems for differential housings and ring gears based on the EMAG ELC 250 DUO Laser Cell. Optimizing the production of gearbox components has two main aspects. Firstly, by improving the component itself, for example in terms of quality and weight, and secondly, improving the production process to reduce component costs. Laser welding technology in general, and the ELC 250 DUO laser welding machine in particular, generate major benefits in both areas. There are two unbeatable arguments in favor of substituting the classic screw connection between a ring gear and differential housing that are sure to capture the attention of any manufacturer of axle transmissions: reducing weight and cost. The weight saving for a welded differential in a car engine is around 0.6 to 1.2 kg, a clear cost savings considering the reduced material consumption, the elimination of machining and the assembly for the high-strength screws required. Another challenge is the pre-assembly of the differential gearbox housing. Contamination from previous production processes (oil, assembly pastes, etc.) can adversely affect the welding process, resulting in weld cracks. Cleaning the welding zone is therefore crucial, also for the ring gear generally surface-treated by phosphating that can also adversely affect the welding process and must be cleaned. These challenges are mastered by EMAG, who has already supplied more than twenty complete systems for the joining and laser of welding differential gearboxes, each perfectly tailored to the customer and their level of automation, flexibility, layout and process. The ELC 250 DUO laser welding machine is notable for its dual machining areas. 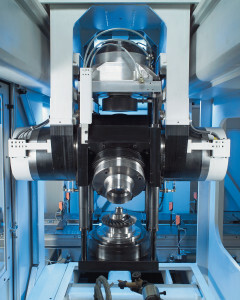 The twin-spindle design is consistent with the goal of the entire system to achieve maximum productivity. To this end the ELC 250 DUO uses the typical EMAG pick-up principle of self-loading working spindles. There are several benefits to using pick-up spindles: this principle allows fixed lenses to be used since the workpiece moves rather than the tool and it allows loading and unloading to take place during the cycle time to reduce idle times. The fact that the lenses are fixed ensures that the laser is always directed into the inside of the machine, thus guaranteeing an excellent level of protection for the user. Furthermore, fixed lenses ensure perfect process reliability since all the laser technology and logistics for operating the laser must only be set up once. Operational safety and ease of servicing are the clear advantages. Mentionable is also that although the process takes place on two stations within the ELC 250 DUO, only one laser source is required. A beam deflector is used to switch the laser between the focusing lenses at the two welding stations. This improves the usage of the laser and increases the productivity of the laser welding system. The basic, high precision of the machine, combined with its great flexibility of equipment (additional sensors, brushes, tests, etc. ), is the secret behind the massive market success of the entire system. Process development is an integral part of EMAG’s services. Every workpiece is different and every customer has different requirements. “We are proud that our production concept has defined the industrial standard for the manufacture of gears using production laser welding,” says Dr. Andreas Mootz, CEO of EMAG Automation GmbH. “EMAG Automation is not just a builder of the very latest laser welding machines; primarily we are a developer of complete manufacturing systems which have made us very successful in the market for many years,” continues Mootz. EMAG Automation delivers custom manufacturing solutions for the laser beam welding of components for powertrain, steering shafts, camshafts and other vehicle systems. 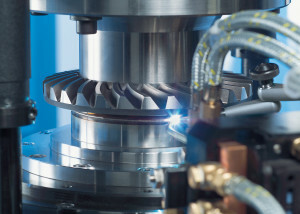 The company regards itself as a turnkey supplier that not only deals with the welding process and laser welding machine, but also integrates the automation system with parts logistics, clamping devices, part cleaning systems and even the company’s own ultrasound testing equipment for its manufacturing systems, and thus continues to drive forward the use of laser technology in the automotive industry.